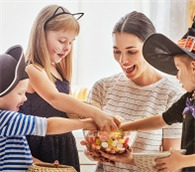 Halloween is more than just costumes and candy! It's time for play, too! Here are three fun and developmental games we found on three superb blogs. We're introducing the games to you, here! This Halloween, offer your niece or nephew a game experience to remember - literally! We found the easy-to-create Life Size Pumpkin Memory game on PleasantestThing.com. All you need are orange paper plates, black and brown construction paper, scissors and tape. The number of matching pumpkin faces you make can differ according to your niece's or nephew’s age and how challenging you want the game to be. This game gives your nieces and nephews a fun seasonal activity while also strengthening their memory and cognitive skills. 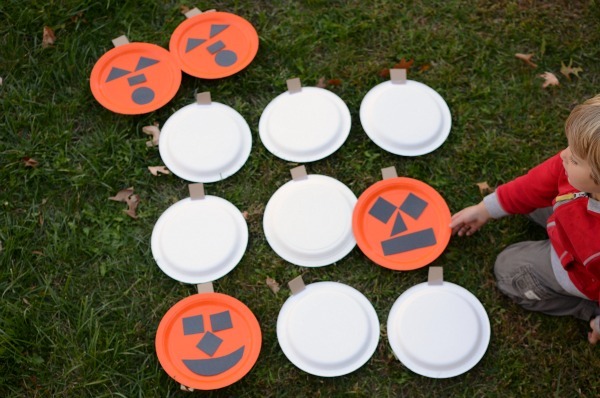 For this ghoulish game from NoTimeForFlashcards, you will need three or more empty, plastic water bottles, sticky black foam, scissors, a package of cotton balls and a kickball (preferably Halloween-themed). 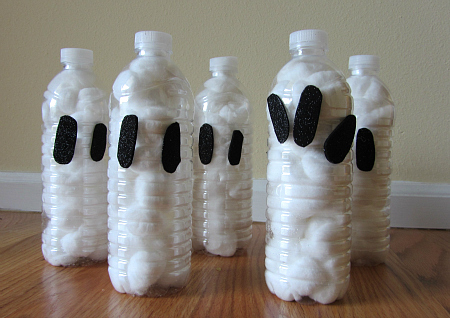 Your nieces and nephews can fill the water bottles with cotton balls. And , depending on their age and ability, allow them to cut out eyes from the sticky foam and place them on the water bottles. Then, have them step back, wind up, and play ball! This game is particularly great because it allows children to exercise their motor skills both when building the ghost bottles and aiming to knock them down. 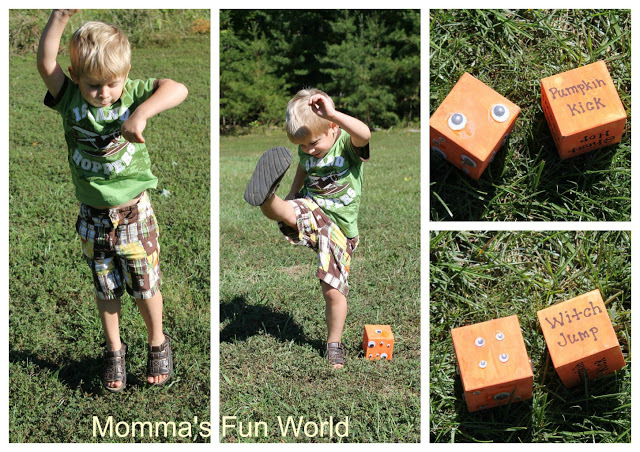 Your nieces and nephews will be sure to love this DIY game from MommasFunWorld.blogspot.com Your local hardware store or craft store should have the two wooden blocks needed to create the dice - and the orange paint you'll need as well. Have your niece or nephew paint the blocks, let them dry, then write Halloween-themed instructions on each side of the die. For example, MommasFunWorld recommends one side say “pumpkin kick,” another, “scarecrow skip,” and so on. This particular game encourages your niece or nephew to be physically active as well as practice their reading skills and writing skills!